EDWARDS AFB – Across the Air Force, all bases recognize the support airfield management teams perform in keeping flying operations running and runways free of debris. As a way of recognizing the hard work accomplished by those in the Airfield Management career field, the Air Force selects individuals and teams from all across the Air Force to compete for the Ronald McCarthy Airfield Management Facility of the Year award. This year, the 412th Operations Support Squadron Airfield Management team took that very distinct honor. “When it comes to competing at the Air Force level, this is definitely a first. We have great people who take this job very seriously and the job of keeping our aircrews safe, and who strive for excellence in what they do, so I think it was especially rewarding to see the entire team and their hard work recognized,” said David Sampson, 412th OSS chief of Airfield Management. According to Sampson, the team comprised of 11 military and three civilian personnel had to initially compete at the Air Force Materiel Command level. A big part of the team’s success, as described by Sampson, was the collaboration of multiple organizations. “Overall, teamwork is absolutely essential to running such a complex airfield, not only within our airfield management organization and squadron, but with flying units and the partners we rely upon for maintenance and construction. We, and our partners in the tower, team with test organizations to figure-out how we can best support unique requirements,” added Sampson. At Edwards, the Airfield Management team is responsible for 22 runways, three airfields and secures $500 million in assets. 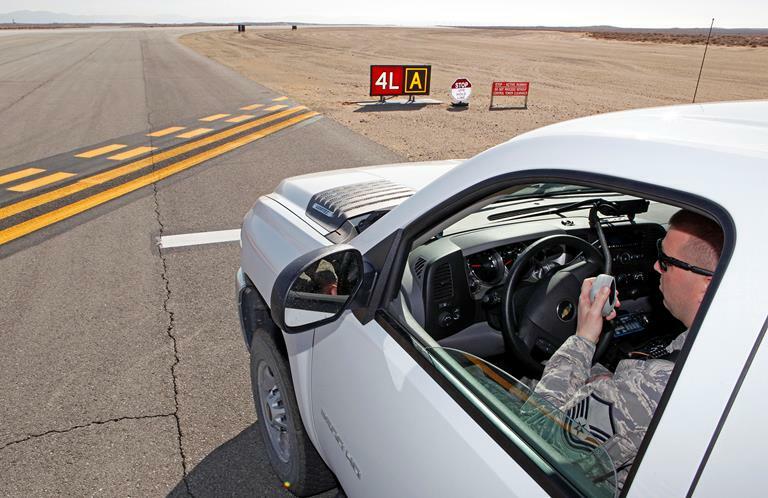 In addition to this, the team oversees the airfield driving program, which includes more than 2,500 flightline drivers and ensures the safety of everyone on the flightline. Two Sentinel radar systems were loaded onto a Chilean C-130 this week at Edwards Air Force Base as part of a foreign military sales (FMS) case for Chile. Chile intends to use the radars to modernize its armed forces by expanding its existing air defense architecture to counter threats posed by air attack. The pick-up was crucial to ensure Chile received the systems to conduct scheduled training. The FMS case was a priority case for the Geographic Combatant Command, SOUTHCOM, and is expected to enhance greater interoperability between Chile and the U.S., and among other allies. 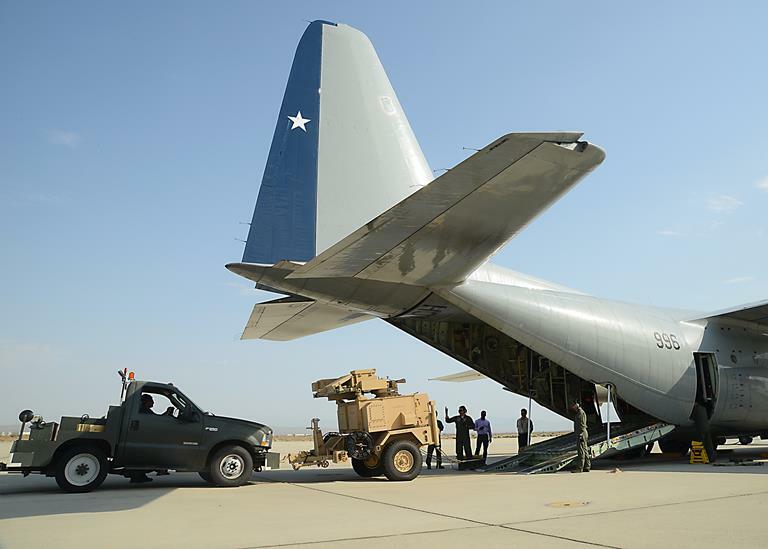 Edwards AFB personnel worked closely with personnel from the U.S. Army Security Assistance Command and the Chilean Air Force to coordinate the flight and loading.